It's always my mission to find wineries in the US producing wines from Italian grapes grown on American soil. I had always taken a trip to upstate NY to the Finger Lakes wine region for many years annually, but had taken a break over the past 5 years as I had traveled to some other places around the world. It was nice to make it back here and we couldn't ask for better weather and accommodations as I write from our beautiful villa right on the water of Seneca Lake in Geneva. 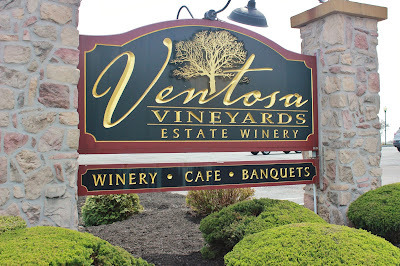 A couple days prior to my arrival the Seneca Lake Wine Trail called out to my attention that Ventosa Vineyards located in Geneva at the top of Seneca Lake was working with a few Italian grapes. 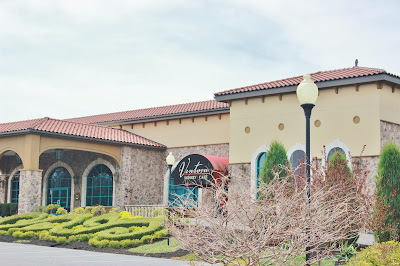 I had been to Ventosa Vineyards years ago, but this was well before my wine blog so I really couldn't recall the wines that they produced. Thankfully a private tasting and tour was arranged for myself and family with their winemaker and vineyard manager, Jenna Lavita. As Ventosa Vineyards states that their winery is “a taste of Tuscany in the Finger Lakes”. Upon arrival you can't miss this massive, gorgeous villa that is eyecatching from route 96A. 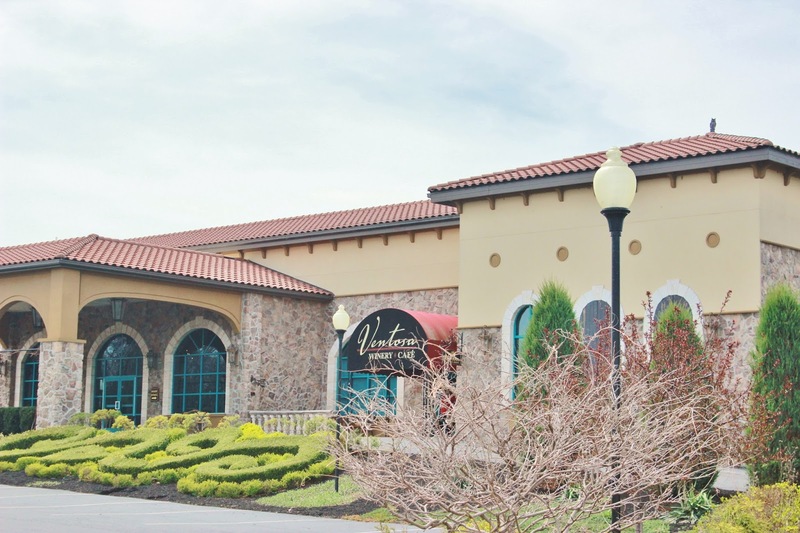 The winery was established eleven years ago and the owners are Italian lovers themselves taking trips often over to Italy, but providing folks with a Tuscan setting right in the Finger Lakes as well. 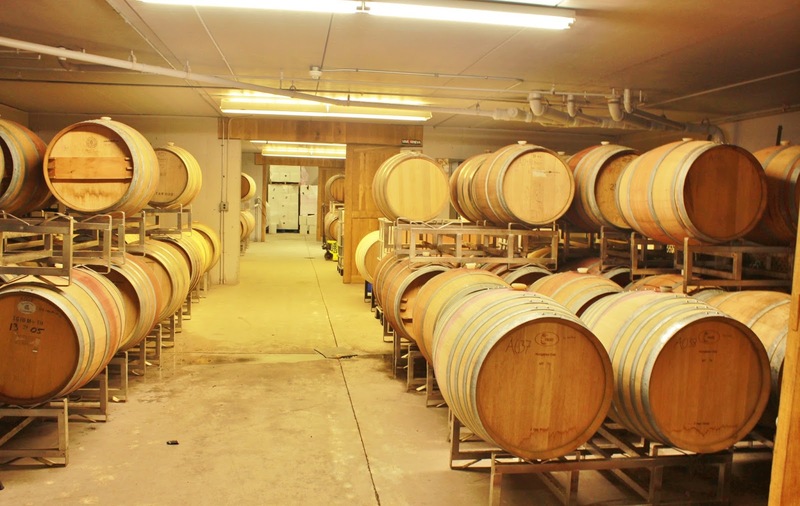 They produce about 3,000-3,500 cases on 22 acres. The owners believe in finding peace in the craziness of wine life within their vineyards therefore the vineyards are sacrosanct, blessed by the priest and located around the property and within the vineyards themselves are religious statues all around. The tasting we had with Jenna on their patio overlooking their vineyards below and Seneca Lake was a treat. Jenna was such a pleasure to spend time with. 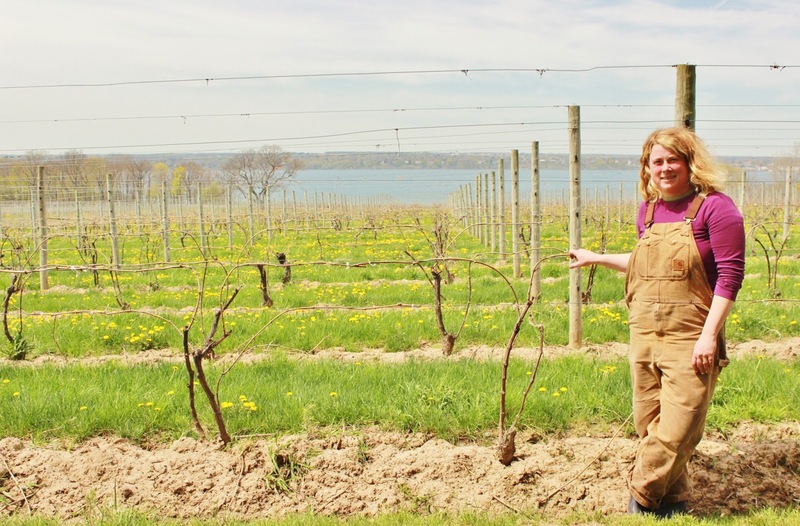 She actually graduated from the local college, Williams Smith, back in 2008 and learned winemaking under the winemaker of Fox Run Vineyards, Peter Bell. She had actually gone to school for law, but making friends and getting acquainted with the wine industry drew her in. 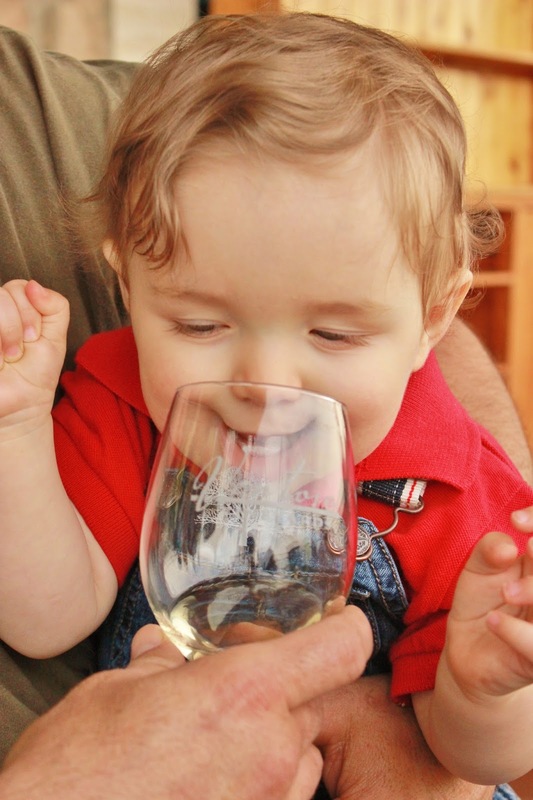 It's amazing to me how many folks I have met in the wine industry had previously been lawyers. I guess that profession leads you to drink converting many on it's journey ; ) She also owns a small brewery in town as well, Lake Drum Brewing. We tasted through many of their wines, but of course I was mostly interested in the Italian grapes they are working with: pinot grigio, tocai friulano and sangiovese. To see Italian grapes grown in such a cold climate area is rather interesting and I only remember coming across 1 other vineyard in the Finger Lakes wine region working with Italian grapes, Red Tail Ridge produces a teroldego grape, which I didnt get to revisit on this trip. 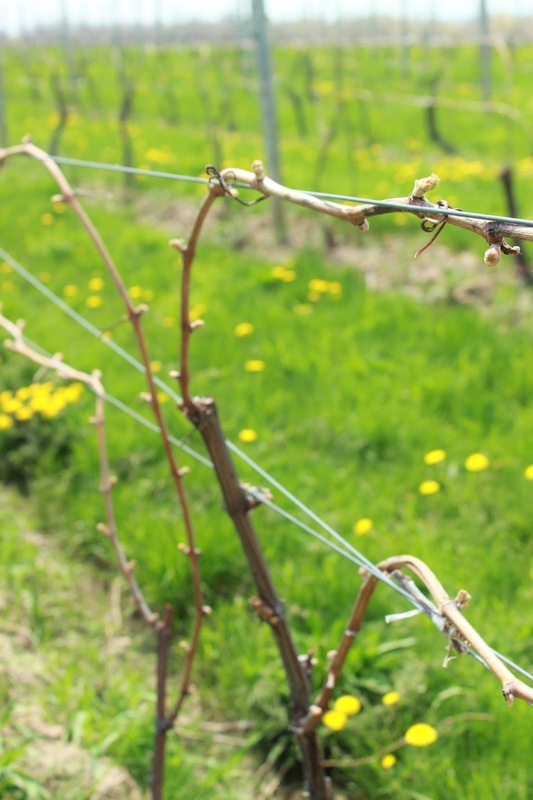 There are about 3 acres planted to the pinot gris grape. 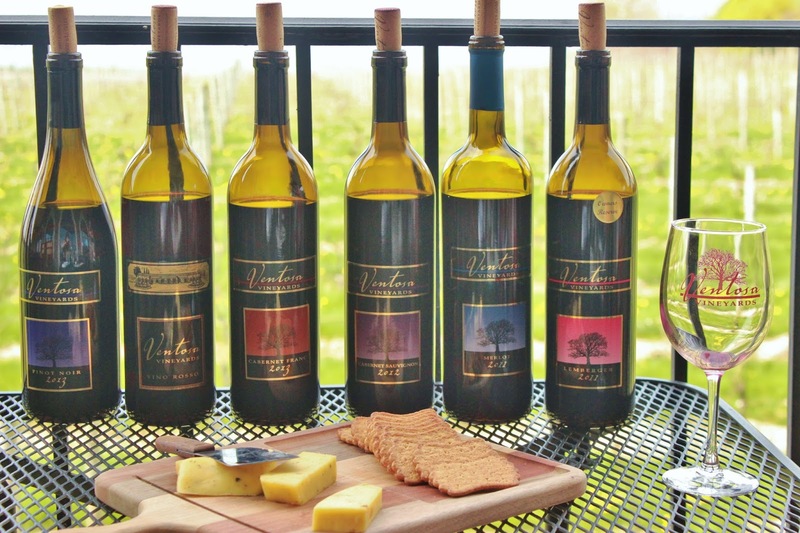 The 2015 Ventosa Vineyards Pinot Gris is a very easy drinking, clean, light bodied wine with green apples most prevalent on the palate. The interesting wine for me was the 2014 Ventosa Vineyards Tocai Friulano mostly found in the wine region of Friuli in northeastern Italy. I know this sounds crazy, but I picked up almost pickle juice on the nose. It's partially aged in American oak imparting tropical notes into the wine. Lower on the acid scale the wine had more weight than the pinot gris. We finished with the Ventosa Vineyards Tocaice, which is their ice wine made from the tocai friulano grape. They don't freeze the grapes on-site, but instead take them to Ontario to a commercial freezer where they are frozen for 1-2 months. They are pressed onsight though at Ventosa Vineyards with a hard press (2.5 bars) over 24 hours to extract as much juice as possible. They usually get about 150 gallons from 3 tons of grapes. For those with a sweet tooth and that enjoy a dessert wine at the end of your meals this had nice rich honey and orange zest notes. An unctous wine indeed! Following the tasting we proceeded to the production facility underneath. Walking through the vineyards it was just the start of bud break for a few of their grapes including sangiovese, pinot and chardonnay. 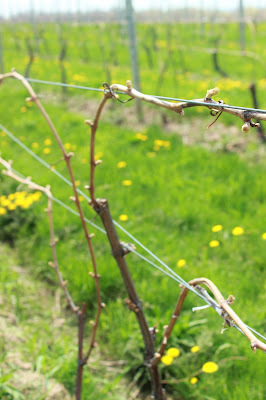 The last few winters have been colder in the Finger Lakes and many wineries having been losing their primary buds. For me the highlight was the Ventosa Vineyards Owners Reserve Sangiovese. We tasted their sangiovese in the fermentation room comparing the 2011 and 2012 vintages. I preferred the 2011 vintage as it was more similar in style to that of Tuscany than the 2012. It was drier in style where the 2012 showed more ripe red fruit. The 2011 had more earthiness and dried fruits, which is personally more my style. It's medium bodied and aged in American oak for 2.5 years plus an additional year in bottle. These sangiovese had soft tannins. Overall, it was a great way to start the day and taste the difference of Italian grapes grown on American soil in the Finger Lakes region of NY.